With the proliferation of mobiles, tablet devices and e-readers, teachers and training organisations delivering e-learning have a myriad of delivery possibilities. In addition, the emerging phenomenon of Bring Your Own Device (BYOD) in training and education is adding a layer of complexity to how learning can be achieved. VET M-learning Standards assist e-learning practitioners to keep ahead of current m-learning developments. The revised and updated standards can now be downloaded from the New Generation Technologies for Learning website, together with a practical guide for teachers. advice for teachers, trainers and content developers seeking to create, select or use mobile learning content and technology for teaching and training, with consideration to the educational purposes it may support. Mobile learning can be defined as learning that is facilitated and enhanced by the use of digital mobile devices that can be carried and used anywhere and anytime, such as mobile phones and tablet devices. Challenges specific to m-learning are related to the use of devices with reduced screen sizes, lack of standard input devices (such as a mouse and keyboard) and reduced computing power. For more information, please visit the New Generation Technologies for Learning website and follow VET_Estandards on Twitter to receive updates and be notified of media releases. 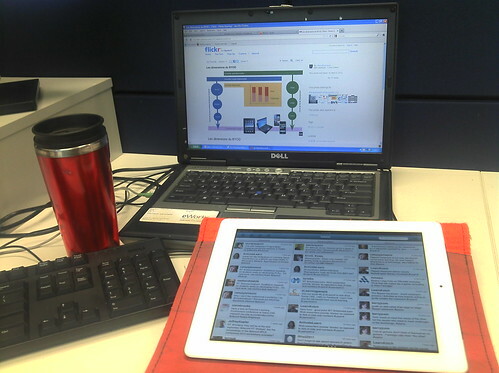 Photo: byod, by howard61 on flickr. Hi mates, its impressive post on the topic of educationand fully explained, keep it up all the time.